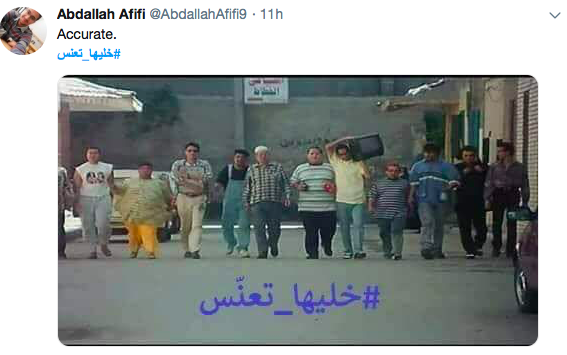 Since everyone is offended or fighting about something on the internet, men started a hashtag to fight against the surge in prices of home appliances, housing, furniture, the bride’s dowry, etc. #LetHerBeASpinster is basically men boycotting marriage until prices are reasonable and starting a life with a partner is actually possible considering everyone’s low income. Women soon became offended by the threat and being labelled as a spinster if they remain single and started a hashtag of their own. #StayInYourMomsArms has turned into another viral trend where women are basically calling men ‘momma’s boys’. Even celebrities like Ayten Amer are hilariously taking part and calling men out for their blatant insult. Translation: Let her be a spinster? We pray Istakhara to know if we should marry you. 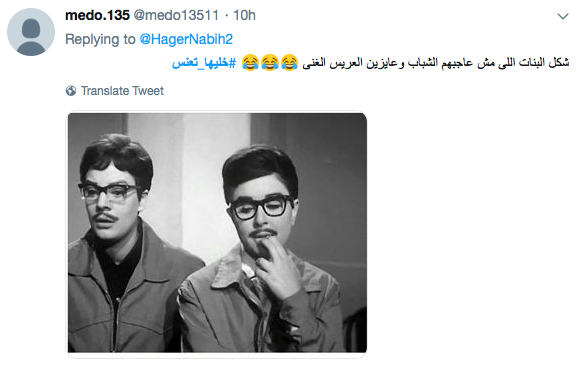 According to Youm7, Professor of Islamic Shariaa’ at Al-Azhar University, Ahmed Karima, deemed the hashtags against women to have a degrading tone that undermines women; which is against the Islamic Shariaa’. Karima added that the high costs of marriage could be fought through educating people about unnecessarily high dowry. As entertaining as it is, these multiple hashtags are actually doing more harm than good. People had high hopes that the vehicle prices might show a deflation; but now that other hashtags have gone viral, it all seems like fun and games. Who is going to take these campaigns seriously now? Alas, that is the world of the constantly offended Interneters.